The atmosphere at Thursday's Jerusalem Prayer Breakfast (JPB) conference in Orlando differed greatly from what Israeli Ambassador Danny Danon faces daily at the United Nations. Instead of the anti-Israel rhetoric he consistently encounters at the U.N., Danon knows that when he attends events like the JPB, he's among friends and allies. 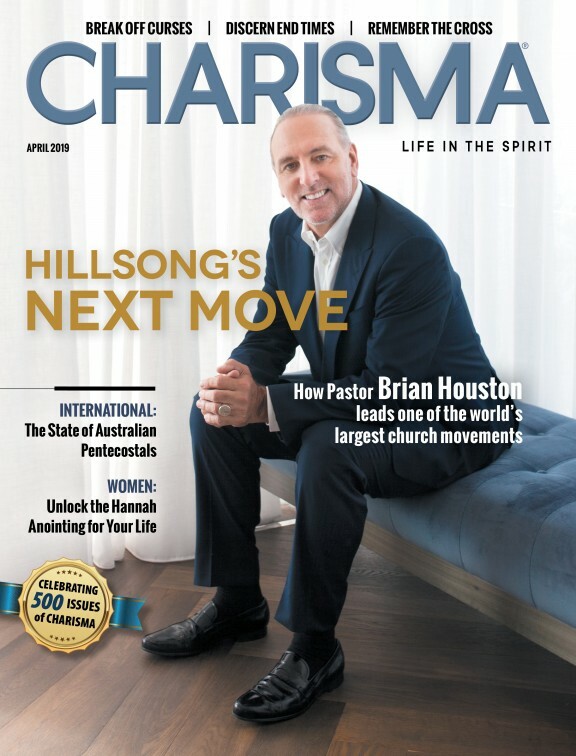 "For sure, for me it's a completely different ballgame," Danon said in an exclusive interview with Charisma News. "At the U.N., every day they blame Israel; they condemn us; they doubt our connection to Jerusalem and to the holy site. I know we are standing on the right side of history, but coming here and seeing the support and love, it gives the entire Jewish community and the people a lot of inspiration. It inspires me to see so many friends of Israel coming together, praying together and standing together." The JPB is a prayer movement initiated and chaired by Knesset member Robert Ilatov and co-chaired by former U.S. Congresswoman Michelle Bachmann. The inaugural JPB took place in Jerusalem in 2017, and is designed to bring together government leaders and influential Christian leaders from all walks of society together to pray for the peace of Jerusalem. JPB Director Albert Veksler drew a comparison between Danon and the prophet Daniel in the Bible. "The difference is that Daniel was thrown into the lions' den only once," Veksler said, referring to Danon's uphill battle for Israel at the U.N.
President Trump's recognition of Jerusalem as the capital of Israel late last year and the move of the U.S. Embassy from Tel Aviv to Jerusalem have helped make Danon's job a bit easier, but he said the war rages on. "I think we should be optimistic and aim high," Danon said. "We are a full member state of the U.N., and I think we are becoming more and more respected, and people are realizing more and more that we are the solution and not the problem. But there is a lot of hypocrisy still. A lot of it comes from European countries, and they should know better." Danon knows well the worldwide hatred for his home country. Anti-Semitism continues to rage around the globe and has unfortunately ramped up in America. Last month, lone gunman Robert Bowers slaughtered 11 worshippers in a Pittsburgh synagogue during Shabbat services. This was the deadliest attack on Jews in the history of the United States. "Unfortunately, anti-Semitism is on the rise everywhere—not only in Europe also here in the U.S.," Danon said. "We have to realize it; we have to condemn it; and we have to fight it. When you talk about fighting it, you have to start with Louis Farrakhan's comparing of the Jews to termites. This is unacceptable. It leads to violence. "Today with social media, you have to be very cautious. It's incitement. It's very easy to spread hatred. We saw the consequences of that in Pittsburgh." But Bachmann says there is hope, and we needn't look any further than the Bible. In an exclusive interview with Charisma News, Bachman says there is no greater proof of God's Word than the existence of the state of Israel. "Israel is the greatest miracle of the Bible," Bachmann said. "The Bible foretold that the modern Jewish state would be rebuilt, and within the lifetimes of many people here at this event. We are witnesses to the fulfillment of prophecy. The prophet Ezekiel prophesied that even Jerusalem would come back into Jewish hands. That didn't happen until 51 years ago, in 1967. In my lifetime, I have witnessed the fulfillment of Ezekiel's prophecy. "When you let that sink in, within our modern era, we are witnesses of prophetic fulfillment. That should not only build up our confidence and faith, it should build up our appreciation of the Bible, the authoritative Word of God. The Bible should be even more trustworthy, and it's not done. There are still more events to come." Veksler says when Christians and Jews work together for the peace of Jerusalem, history will be made. Danon agrees, but says a lot must be done for that to happen. Danon says Christians should come to Israel and experience the land firsthand. "I think churches should encourage people to come to Israel," Danon says. "Once people come to Israel, and they get connected to the people and the land; they will become ambassadors for life. "Churches should also not be shy about speaking up for Israel. I meet too many people who say they support us and pray for us, but they need to be vocal about it. I call on pastors to stand up and to mobilize their communities to speak for Israel. We are on the front lines together." Shawn A. Akers is a content development editor for Charisma Media.